#GIVINGTUESDAY Has The Power to Bless & Transform Lives! Celebrate God’s greatest gift to mankind—his beloved Son, Jesus Christ—by giving a gift to bless those in desperate need. This #GivingTuesday, your support will provide safe shelter and clean water for poor Haitian families who live in dirt-floor shacks and drink from contaminated streams. The local Catholic mission is depending on your gift to meet these needs and manifest Christ’s mercy among the most vulnerable. Jump-start the Christmas season by showing your solidarity with the poor and vulnerable. 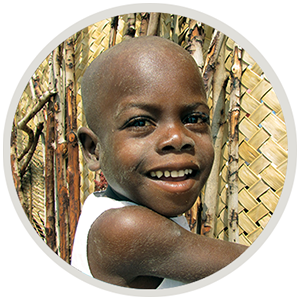 Your generosity will refresh the bodies and souls of Haiti’s rural poor. Cross Catholic Outreach’s mission is to mobilize the global Church to transform the poor and their communities materially and spiritually for the glory of Jesus Christ. This year, we’re celebrating #GivingTuesday as an opportunity to be Christ’s merciful hands and feet. #GivingTuesday demonstrates how every act of generosity counts. Your donation will create new hope by helping build sturdy houses and clean, reliable water wells for families who lack life’s basic necessities. Can you help us spread the word about this wonderful cause? Proceeds from this campaign will be used to cover any expenditures for Giving Tuesday incurred through June 30, 2019, the close of our ministry’s new fiscal year. In the event that more funds are raised than needed to fully fund the project, the excess funds, if any, will be used to meet the most urgent needs of the ministry.